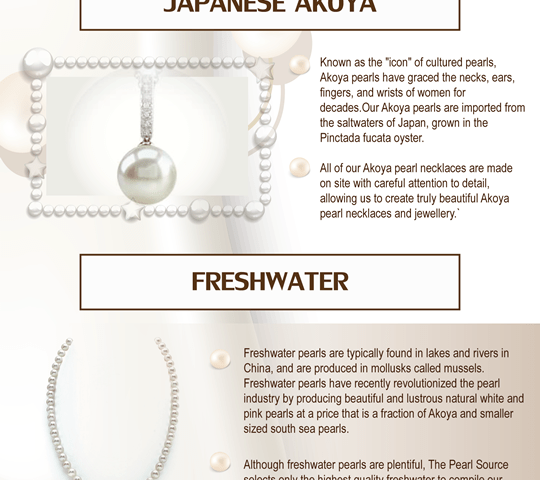 Japanese Akoya pearls are revered in the jewelry trade. These are the original pearls from which the first Mikimoto pearls were derived. Native to Japanese waters, they’re extremely unique. They’ve also undergone a major upgrade in recent years. The Mikimoto pearls have become top of the line, high-end fashion statements. They’re also found in cutting edge designer pearl jewelry as well. These pearls have a very high luster. They’re also extremely design-friendly, one of the reasons for their popularity in the jewelry trade as a whole. These are the Rolls Royces of pearls, exceptionally high quality, versatile, and naturally elegant. The reason for this professional enthusiasm in a very demanding, very cost conscious, market becomes clear when you see the actual jewelry designs. They deliver incredible beauty, and offer exceptional design possibilities. Like all very high quality jewels, Japanese Akoya’s provide excellent aesthetic values. That’s the core design issue for jewelers. Akoya pearls can provide an extremely reliable look, making them ideal for crafting high end designer lines that range from a few hundred to a few thousand items. Pearl necklace designs: These extraordinarily vivid, lively Akoya pearls provide color, vibrancy and unrestrained elegance in a dazzling array of necklace designs. A single strand of these pearls is a truly vivacious statement. Multiple strands, particularly as part of a set of Akoya pearls, are positively bewitching. Pearl earrings: The Akoya pearls, due to their high luster, are ideal for earring design. They reflect light, and the high fashion earrings, in chains and cascades, are nothing less than stunning. 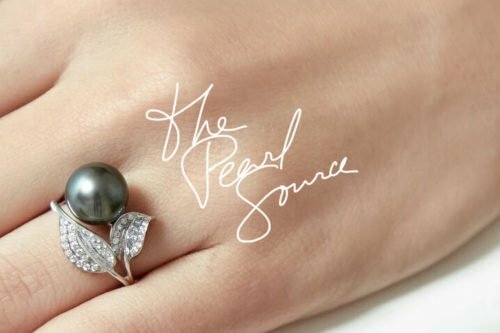 What Determines the Color of Pearl Jewelry?